After a very successful Kickstarter campaign we have been busy preparing to take Portrait to Rooted Moon in Sardinia. This week will be our second week of rehearsals hosted by the lovely people at The Seagull Theatre in Lowestoft. And we have one more announcement for you! On the 23rd July we will be performing Portrait for the very first time at The Yard in London. 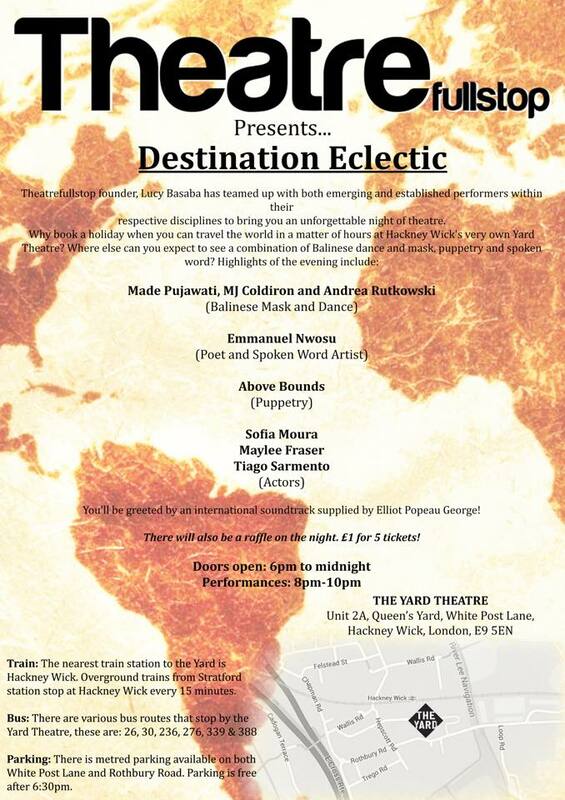 Thanks to our friends at Theatre Full Stop, we will be sharing the bill with some other great international performers. £3 on the door.